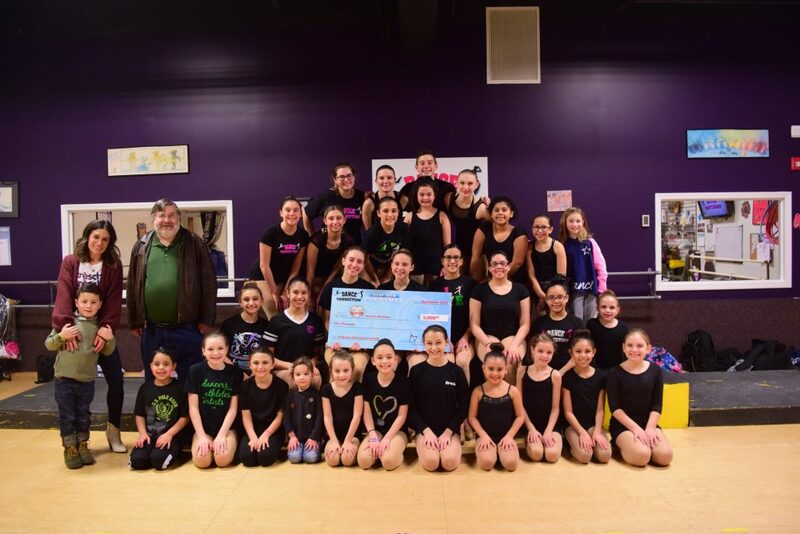 ISLIP, NY, JANUARY 29, 2019– This past December the Dance Connection Performance Team and Dance Connection Theatrical Productions held a benefit performance at the CM Performing Arts Center in Oakdale to raise money for Gavin’s Got Heart, a local charity assisting families of infants and children diagnosed with congenital heart defects. The original production raised $5,000 for the charity which was used to provide 24 hour in home nursing care for a family that allowed them to bring their baby home from the hospital. “Our studio is always looking for ways to use our passion for dance and performance to give back to our community. Gavin’s Got Heart is an organization that provides an amazing service to local families in need, and we are so proud to have helped provide assistance in achieving their goals”, Mary Naftal, Artistic Director. Gavin’s Got Heart helps to subsidize medical bills, travel expenses associated with hospitalizations and medical care, and offset loss of wages for caregiver/parent(s). To date Gavin’s Got Heart has donated over $215,000 to 43 local heart families. Gavin’s Got Heart also provides free heart screenings, and CPR/AED training for the community through a partnership with Northwell Health and provides hospital outreach initiatives for heart families. The cast of 37 people worked to put the show together beginning in October, with an original script by Colleen M. Hughes and choreography by the Dance Connection Teaching Staff. They were thrilled to be brought together after the holidays to present Nicole Mogil, the founder of Gavin’s Got Heart with the $5,000 raised by their efforts.